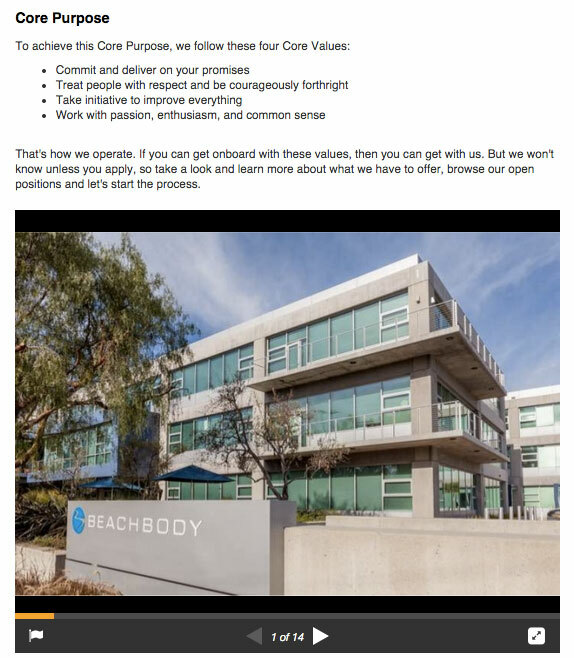 Beachbody: Attracting Talent Using C.H.O.P.S. As a fitness instructor for 10+ years, I’ve known about Beachbody and their products for some time. If you’ve seen the P90X or Insanity workout infomercials, then you know Beachbody. What I did not know until very recently, is they aren’t just experts in fitness, they’re also experts in executing employment branding. This isn’t a warm, fuzzy message about how much you’ll love working there. This is a statement about what they believe - and what they want you to believe if you work there. That’s compelling. And, with 22,800+ followers, they know it’s working. Why? Studies show 70%+ of professionals following you on LinkedIn are doing so because they are interested in working for your company. That’s a heck of a talent pool for Beachbody to pull from. A pretty blunt way of making sure only the right people apply. Instead of a typical video showcasing employees going on and on about what it’s like to work there, Beachbody used it’s marketing savvy and confident style to produce a video that showcases how their approach to business affects their approach to employment. You’ll either love it or hate it - and that’s the point. Visit their own company careers page and you’ll see the story of their growth over the last 17 years is something they are proud of. More importantly, their impact on millions of lives is clearly what they see as their single greatest achievement. Beachbody understands they need to not only be on social media, they need to be active on social media. Visit their LinkedIn Careers page and you’ll find links to all their social channels. Just like working out everyday, they are contributing daily on all the major social media outlets. 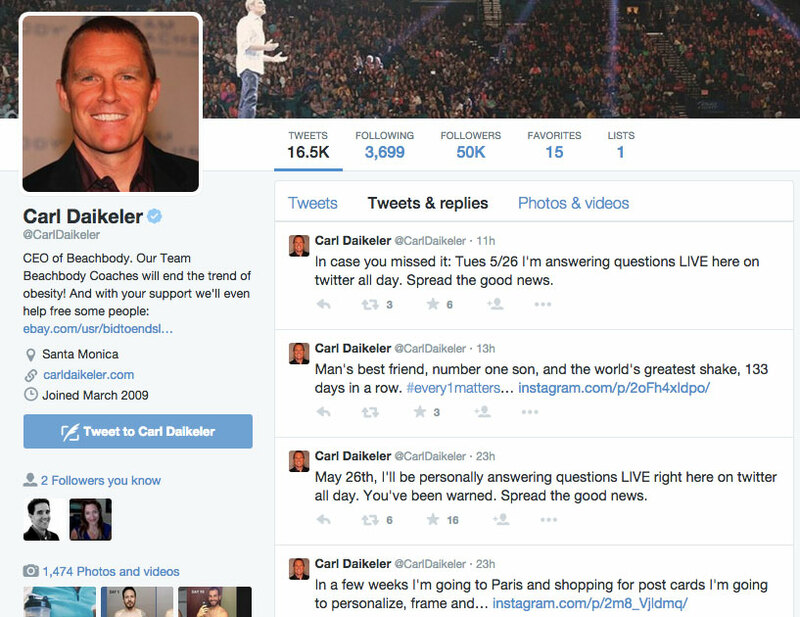 Even their CEO, Carl Daikeler is tweeting daily. It’s not rocket science, but it does take a little time and effort. You can do it anytime and anywhere. A little bit every day is better than none at all. You have to find what works for you and stick with it. The more you do it, the stronger you get. Once you get into it, you’ll be hooked. The results can make you very happy. J.T. 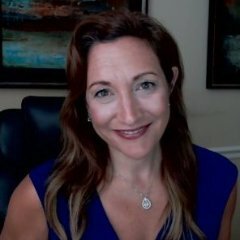 O’Donnell is the founder and CEO of CAREEREALISM Media, which specializes in helping companies attract top talent by featuring and promoting their employment brand. Check out their FREE e-guide on inbound recruiting and the power it has to help drive the right candidates to your inbox.